This large graphite smasher pad is made with the same high density graphite that is used on all Griffin Tools. The edges have been rounded and the plate has been brought to a fine polish to help avoid creases and lines in the flattened gather. 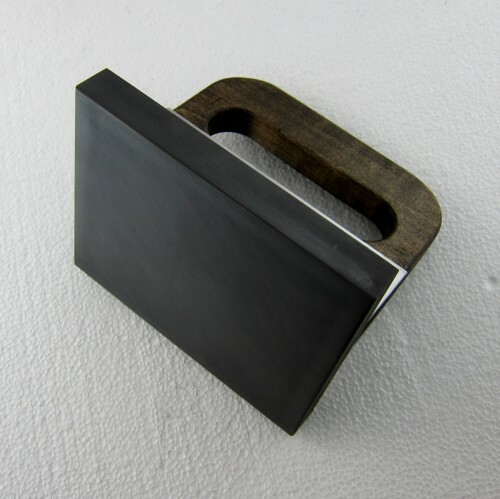 The graphite measures 6" x 5" x 7/8" and the handle is 4" high with a large opening for a comfy grip. The weight and size of this smasher makes it much easier to get consistent results while flattening large gatherings.